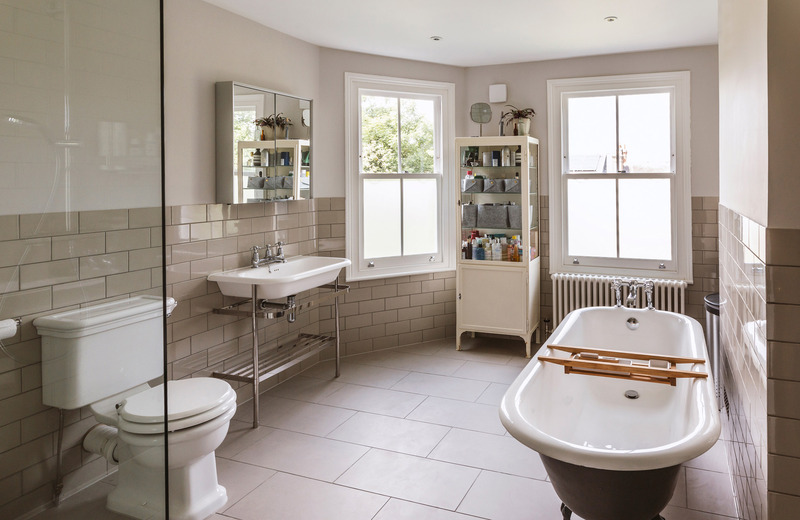 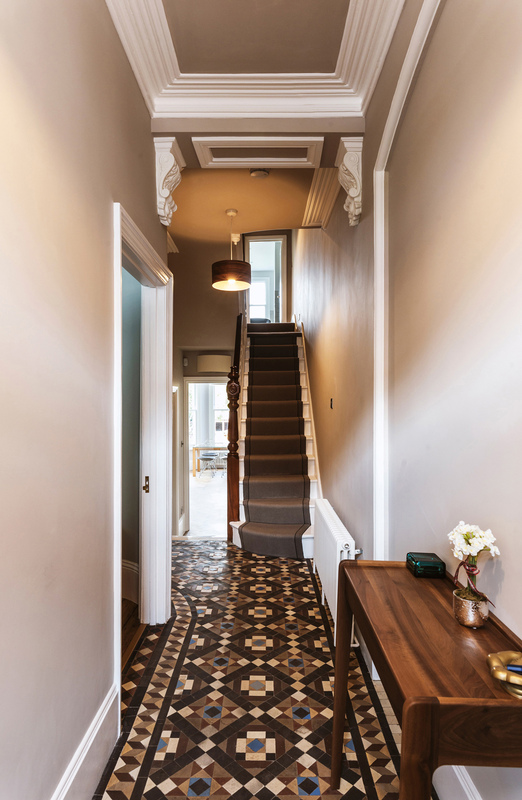 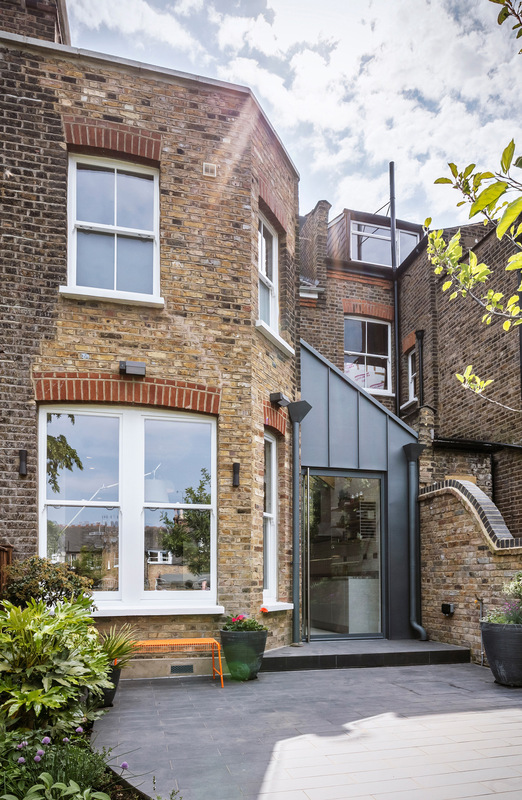 The original property is a five-storey Victorian mid-terrace house in Crouch End, North London. 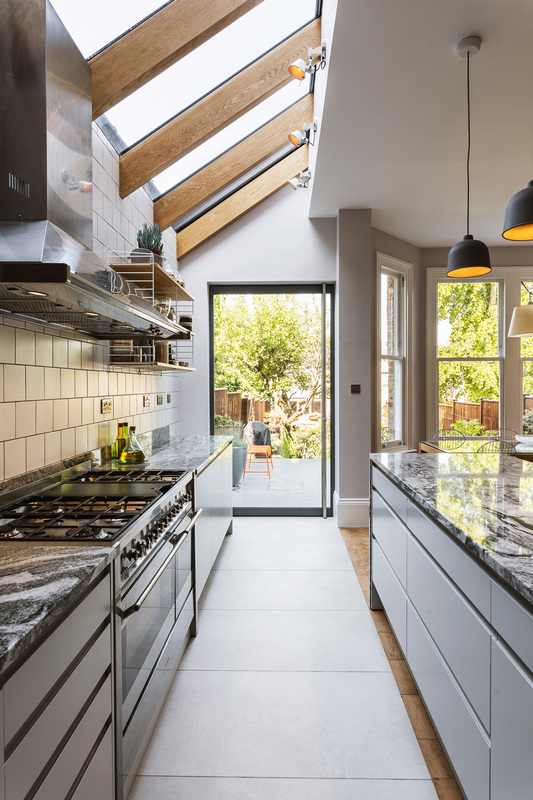 The multiple rooms on the lower ground floor were combined together with a new side extension to form a large open plan kitchen dining area to the rear. 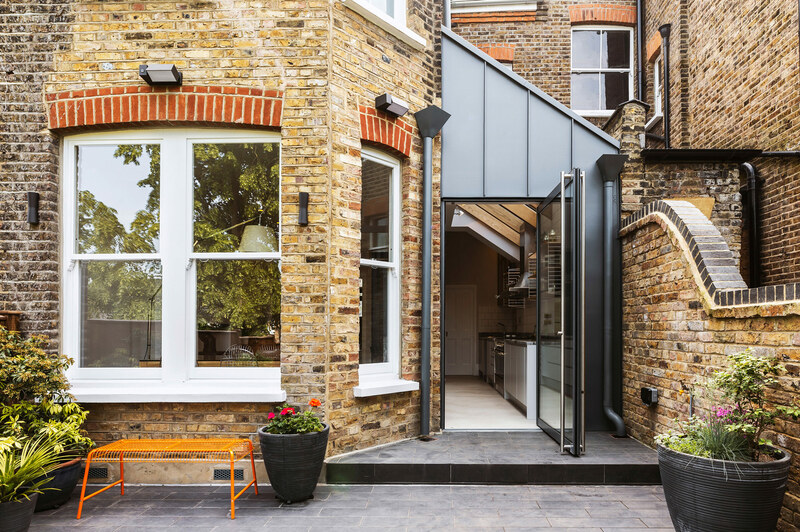 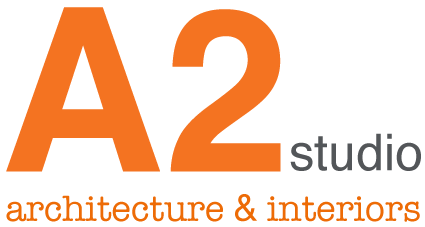 The client’s brief was to keep the integrity of the existing rear façade while adding a modern side extension. 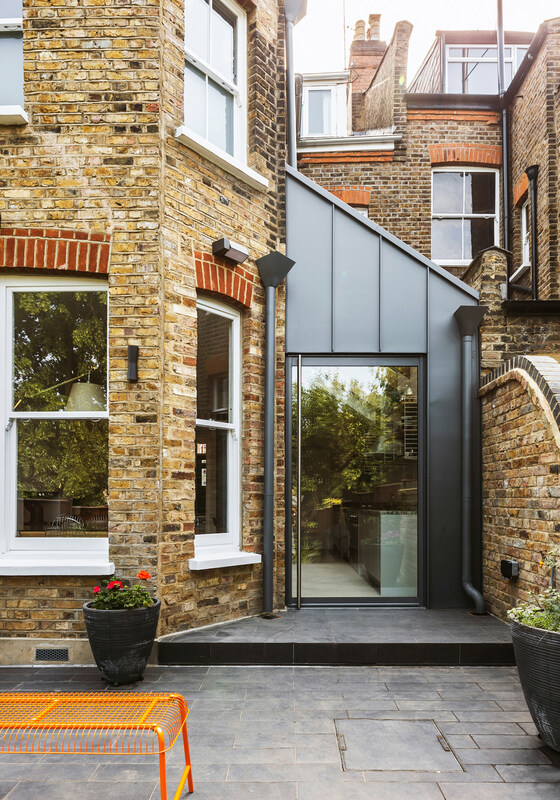 The side extension is clad in zinc and forms a contrast to the existing brickwork in texture and colour featuring a large pivot door which ties into the modern language. 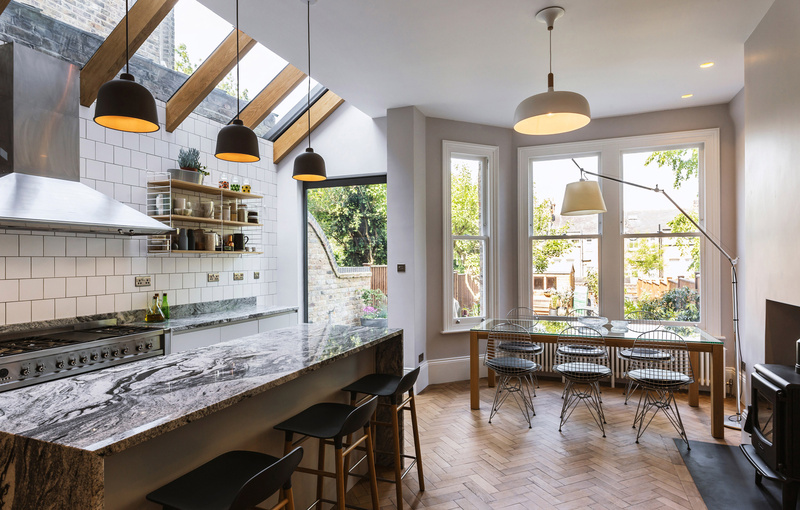 The interiors reflect the client’s desire for a modern space with character. 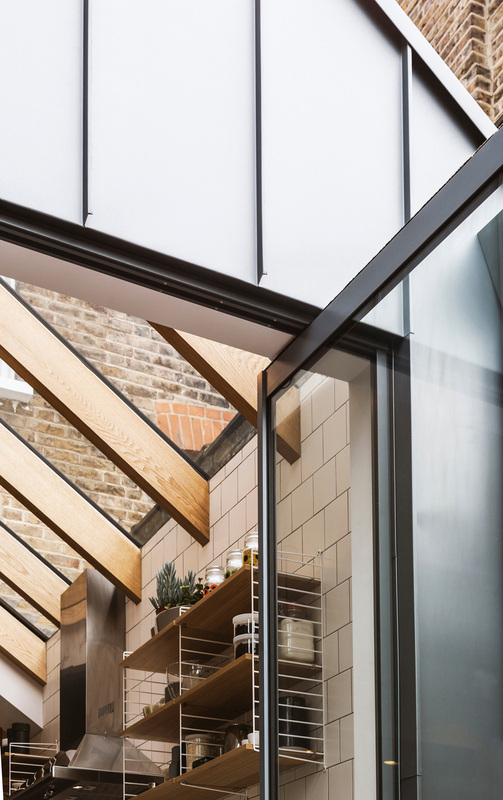 The pitched rooflight with its large expanse of glass sits on exposed solid oak rafters. 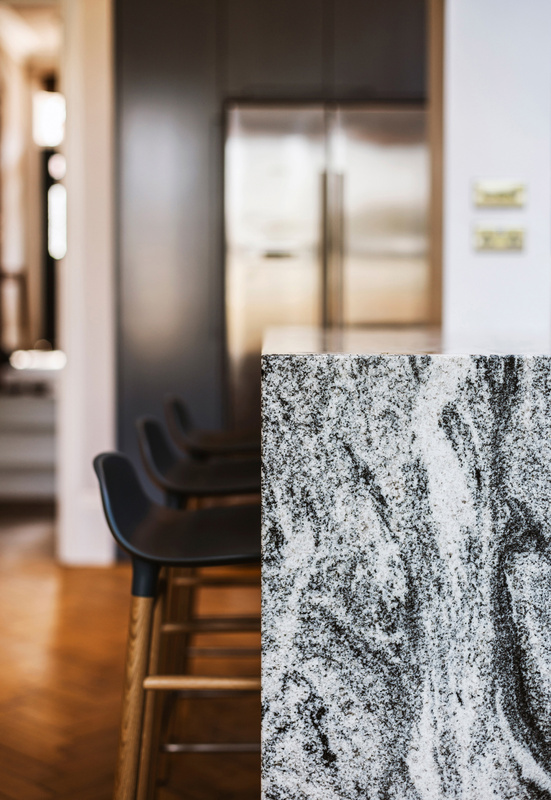 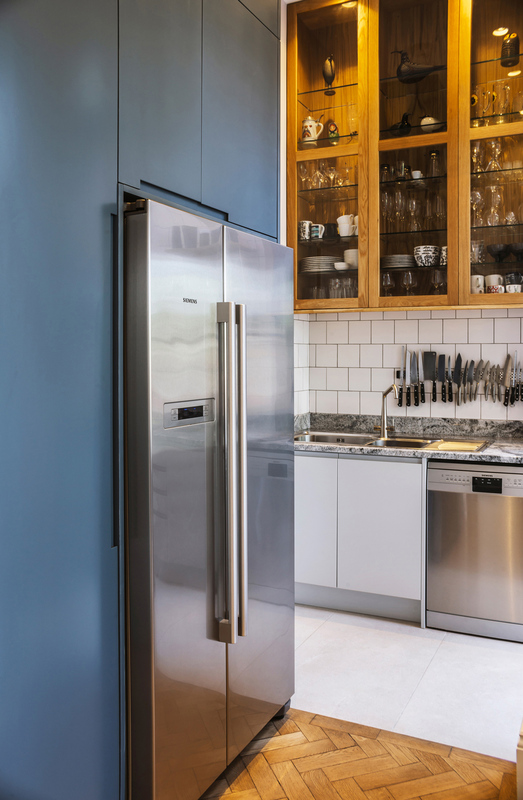 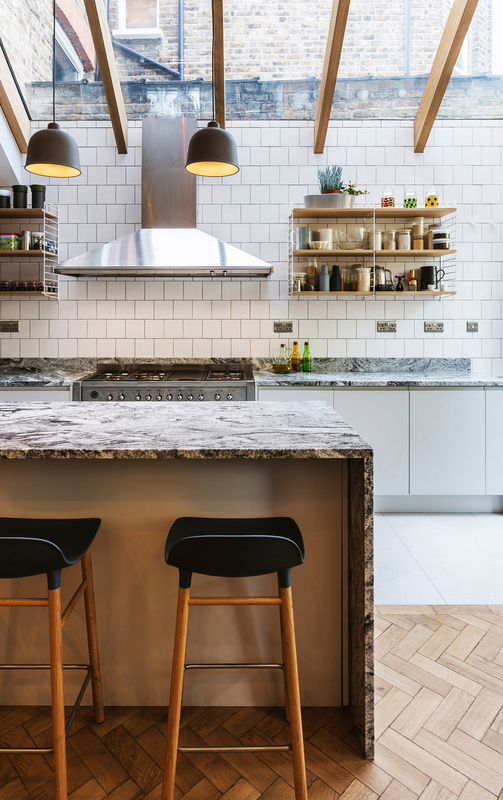 The interiors are finely detailed with handleless grey kitchen doors combined with a vivid granite worktop, bespoke joinery in dark blue and oak vitrines. 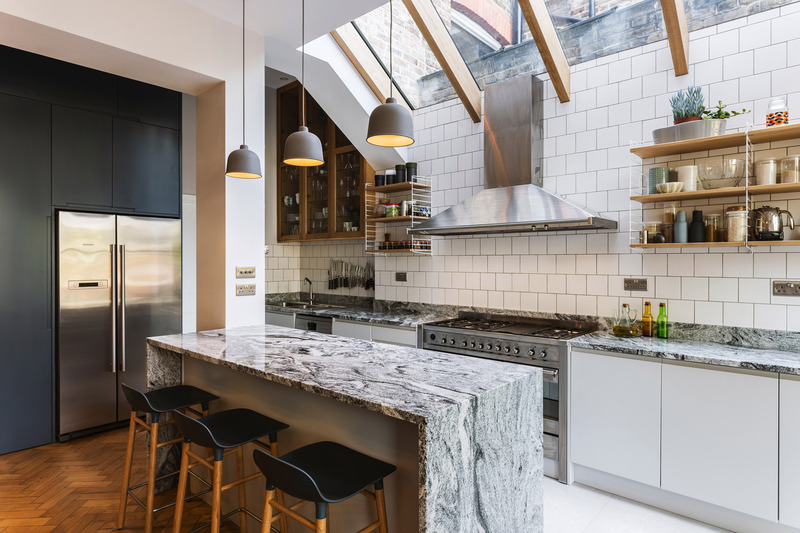 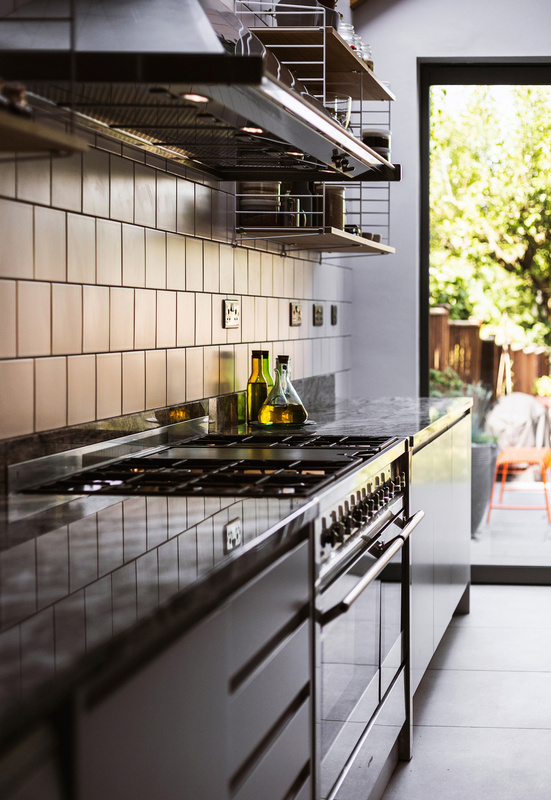 The kitchen is a primary focus for Alex and Mark, who love cooking, and became central to the design. 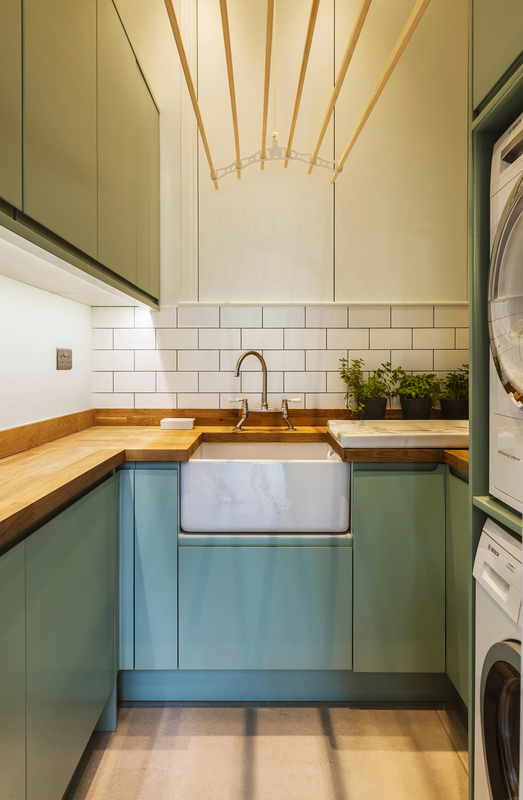 While transforming the ground floor layout a utility room that connects to the kitchen and new WC were created in the core.